Vallecito Lake, sheltered in a mountain valley 8,000 feet above the sea, is one of the most beautiful bodies of water in Colorado. Vallecito Lake is surrounded by the San Juan National Forest and Weminuche Wilderness and boasts striking views of water, mountains and forest. Because the lake is located at the heart of the Four Corners, it is a perfect vacation destination with access to all the major attractions and activities the area has to offer, including the Durango and Silverton Train, Mesa Verde National Park, Purgatory Mountain Resort, and Wolf Creek Ski Area. Nearby Durango also offers a wide range of entertainment and activities such as art gallery walks, concerts, special indoor and outdoor events, and excellent dining. There's no need to travel far after your arrival to Vallecito! You can certainly enjoy a "stay-put" vacation right here at the lake. 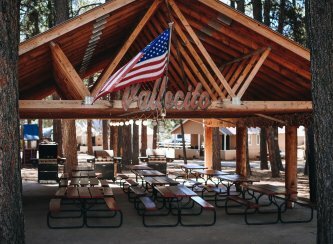 Vallecito Lake offers restaurants, stores, lodging, RV Parks and campgrounds. You can feel at home while staying at one of our many facilities here. Browse our cabins and campsites to find a perfect mountain cabin for your next vacation or weekend getaway. With 12 miles of shoreline, Vallecito promises many types of recreational opportunities for fun in the sun: marinas, fishing and boating, fantastic hiking, ATV rentals, horseback riding and more. During the winter season, you and your family can enjoy miles of cross-country skiing and snowmobiling trails. What better place to enjoy the holiday season than in a true Winter Wonderland? For the fall and summer season, this area is a perfect destination for summer fishing vacations, exceptional fly fishing and a great location to land a record breaking fish! You will find Rainbow, Brown and Cutthroat Trout, Northern Pike, Walleye, Smallmouth Bass and Kokanee Salmon. 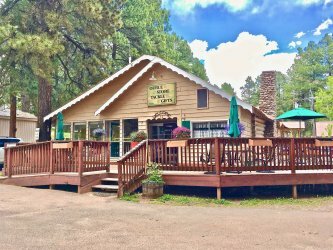 At Vallecito Lake, you'll find everything you need! Let us do the cooking while staying with us. Experience classic Colorado taverns and restaurants, home style cooking, live music and of course, beautiful views of the mountains. Other businesses in the area include residential, commercial and recreational real estate services, The Rocky Mountain General Store and the Vallecito Lake Marina. The Vallecito Lake Chamber of Commerce is dedicated to supporting our local, family-run businesses and tourism in Vallecito, Colorado. 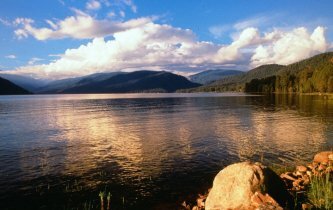 Experience lake life and mountain adventures like a local: Visit Vallecito Lake! Visit our website to learn more about the Vallecito Lake Chamber of Commerce!